Our Jodhpur, Narlai and Udaipur tour invites you to soak up the splendours of Jodhpur and Udaipur, whilst steering off the beaten track to Rawla Narlai in rural Rajasthan. 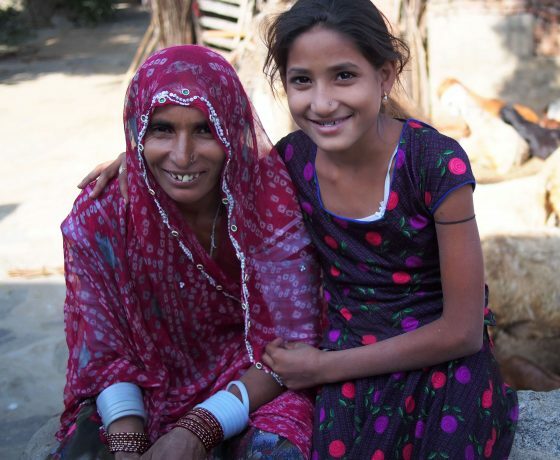 Whilst it would pair perfectly with our Luxury Golden Triangle Tour, it’s wonderful all on its own, too; particularly for those who’ve already dipped their toes into India on a previous visit and would like to explore the beauty, charm and heritage of Rajasthan in more depth. Kicking off in the Blue City of Jodhpur, you’ll explore the majestic Mehrangarh Fort before exploring the labyrinthine lanes of the old city – bursting with activity and vibrant market stalls, Jodhpur’s old city is full of photo opportunities. Whilst in Jodhpur, you’ll also be treated to a private Bhopa performance (a rare and dying Rajasthani art form, combining singing, painting and dance). Onwards to the sleepy village of Narlai for two nights, where you’ll take in stunning natural landscapes, friendly local people, and a truly special dinner by the ancient stepwell lit up by hundreds of oil lamps. 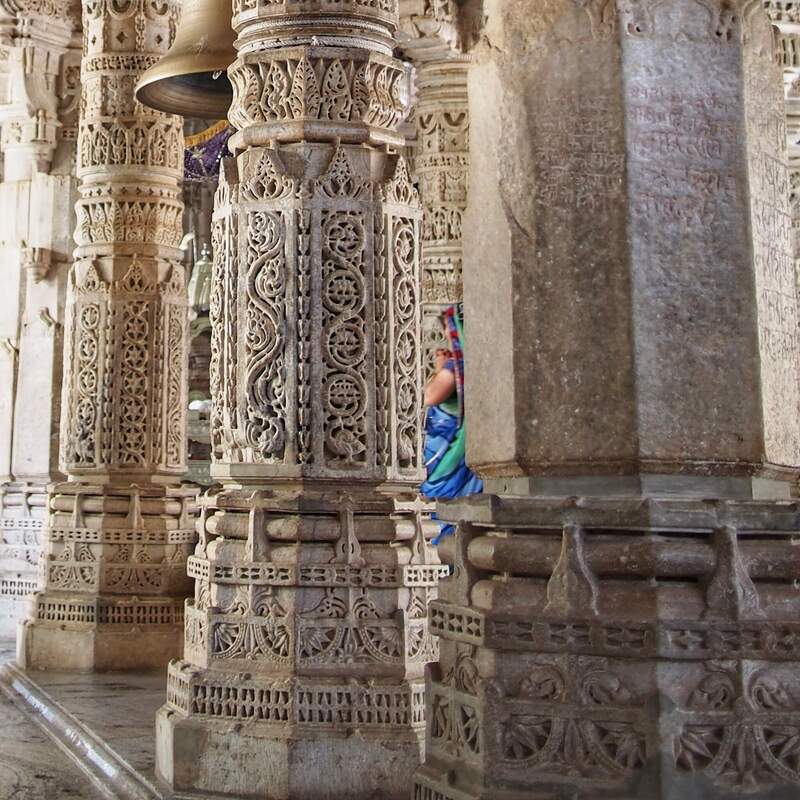 Whilst continuing to your last destination of Udaipur, we’d recommend a stop on the way in Ranakpur to visit the richly-carved Jain temple, with 1444 unique pillars it’s quite a sight to behold. 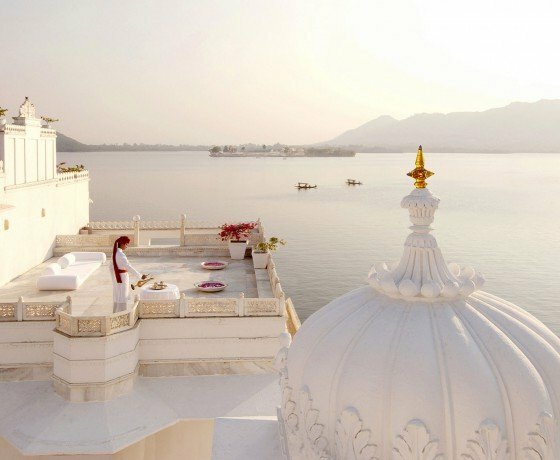 In Udaipur, you’ll soak up splendid lakes and palaces whilst staying in the fairy-tale like Taj Lake Palace; a dazzling, 270-year-old palace that dreamily floats in the middle of Lake Pichola. 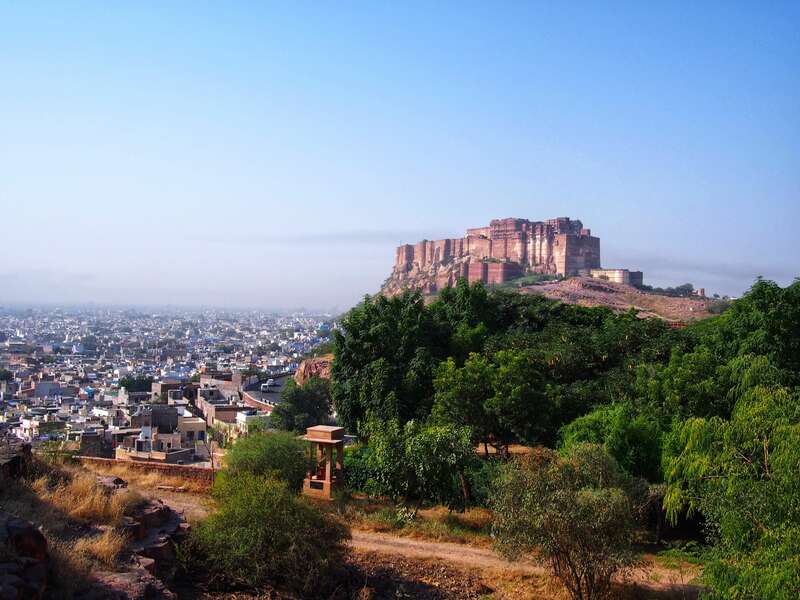 Your boutique journey through Jodhpur, Narlai and Udaipur begins upon your arrival in Jodhpur (depending on your wider itinerary, this may be at Jodhpur airport, or directly at your hotel should you be travelling by road from Jaipur or Jaisalmer). A member of our team will be waiting to greet you and assist you with checking in to the stunning Raas haveli, your base in Jodhpur for the next two nights. 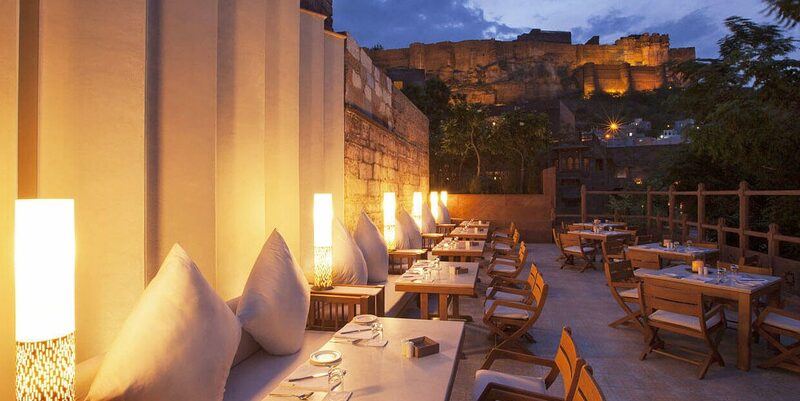 Looming in the shadows of Mehrangarh Fort and housed in an 18th-century haveli, Raas is a delightful juxtaposition of history and contemporary luxury. 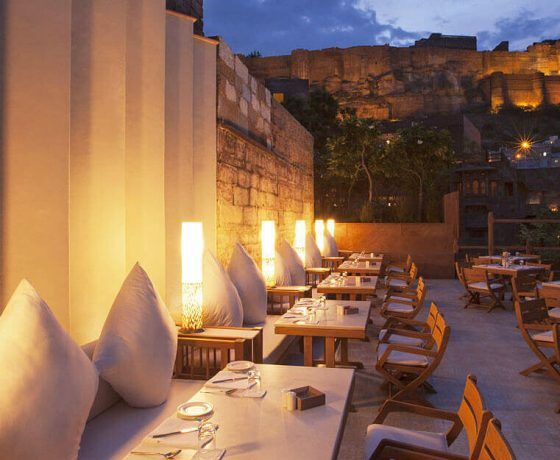 Situated in the heart of the bustling old city and amongst a maze of narrow streets, Raas is an ideal place to stay in Jodhpur for anyone who appreciates being amongst the action. That said, as you walk through the Raas gateway a calm oasis awaits you, with interiors having been handmade by local craftsmen and offering a private terrace from which you can sit out and gaze at the fort. This evening, soak up a private Bhopa performance – a rare Rajasthani art form which combines dancing, singing and painting. Afterwards, move on to a rooftop restaurant for a traditional Rajasthani thali dinner with fabulous views of Mehrangarh Fort behind. Our past guests have found this a very culturally rich experience, and a highlight of their stay. The thali dinner is a lovely way to experience many different tastes of Rajasthan, as you’re presented with a small amount of several different authentic dishes. Accompanied by a local expert, you’ll begin the day by taking in the architectural splendours of Jodhpur, at Jaswant Thada and Mehrangarh Fort. Rising majestically out of a 125m (410ft) high rock, Mehrangarh Fort was once described by an awe-struck Rudyard Kipling as “the creation of angels, fairies and giants”. Dating back to the mid 15th century, the royal apartments within the fort now form part of an outstanding museum, with the Takhat Mahal being Indian Excursions’ favourite. The exuberantly painted room was a preferred retreat of Maharaja Takhat Singh (1843 – 73), who had 30 queens! In the afternoon, continue into the labyrinthine lanes of the old city on a guided tour by your choice of foot, tuk-tuk or bicycle. Clustered around an early 20th-century clock tower, the maze of streets in and around Sadar Bazaar is fascinating to explore, with its little shops and stalls selling everything from silver jewellery to camel leather shoes to puppets and sweets and spices. The morning is yours at leisure to relax, do a bit of shopping, or further explore on your own. 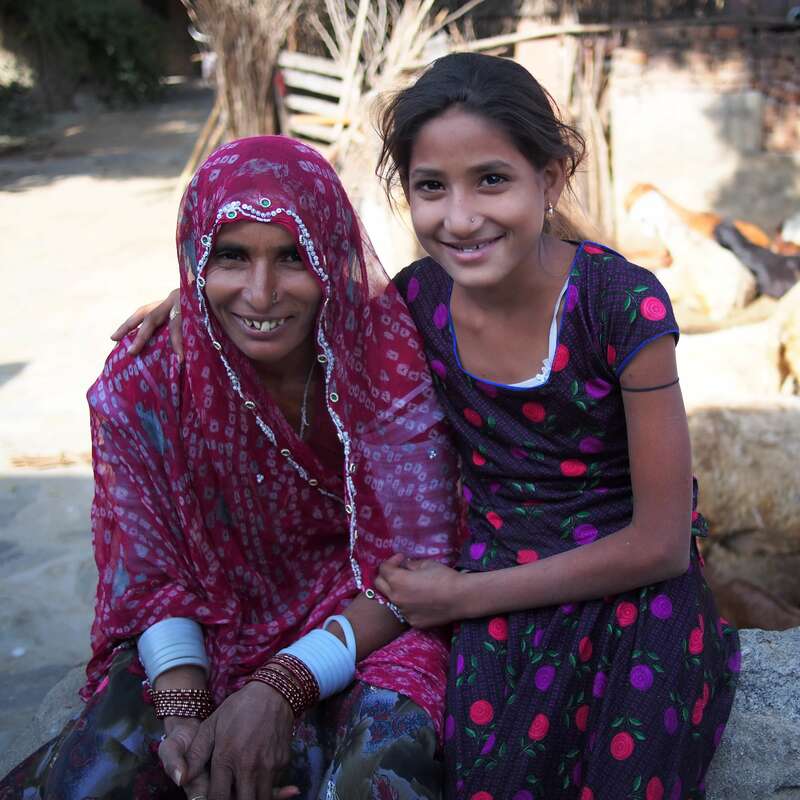 We have a number of unique excursions on offer that you may like to discuss including; from private cooking classes to puppet-making workshops, to visiting the nearby Bishnoi village. Later, you’ll be steering off the usual tourist route to a beautiful village in rural Rajasthan, for a two-night stay at Rawla Narlai. Dating back to the 17th century, Rawla Narlai is a converted fort with a selection of comfortably rustic rooms, adorned with plenty of local charm and character whilst offering all the facilities of a modern hotel. The inner courtyards are blooming with bright pink bougainvillaea and fragrant frangipani. The surrounding village and landscapes are beautifully picturesque. Rawla Narlai is a special place and quite the hidden gem. The day is yours at leisure to relax and explore the local area at your own pace. There are a number of excursions available at Rawla Narlai, of which we’d prefer to offer you the freedom to decide from and book depending on how you feel on the day (you can read how we spent ours, here). If we may, however, we’d recommend rising early to climb Elephant Hill – there are a whopping 756 steps to reach the top, though you’re rewarded with a beautiful view of the sun rising over Narlai below. 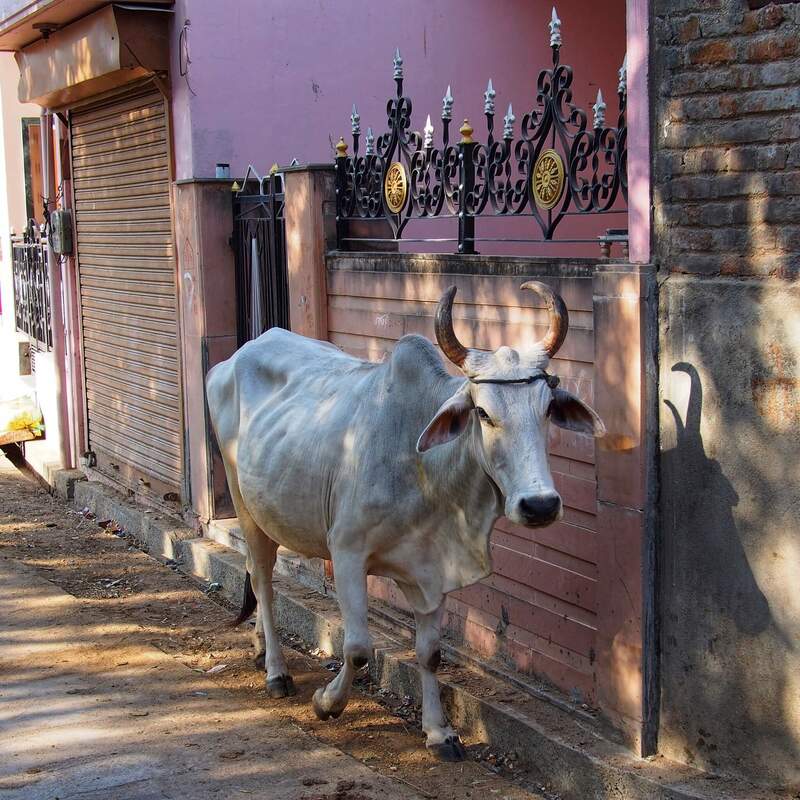 A walk through the village is a must, too – the people are friendly, with ladies dressed in stunningly colourful saris and turbaned elders drinking chai (Indian spiced tea). To end the day, we’d recommend Rawla Narlai’s signature Stepwell Dinner, which is the highlight of a stay here for many of our guests. 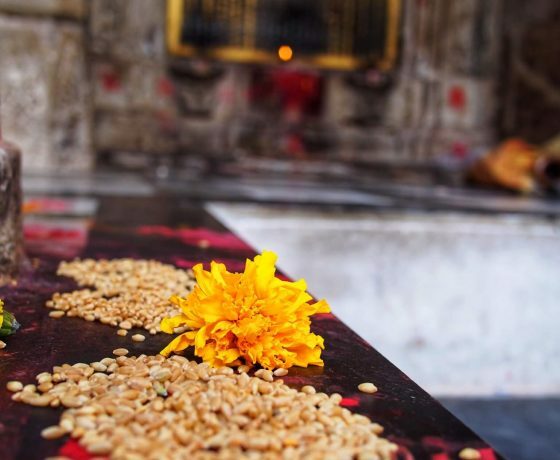 The magical dinner offers four courses of local specialities served beside an 1100-year-old stepwell, spectacularly lit by hundreds of oil lamps and accompanied by soulful folk songs performed by a local musician on a tambura. Today you’ll continue to Udaipur. 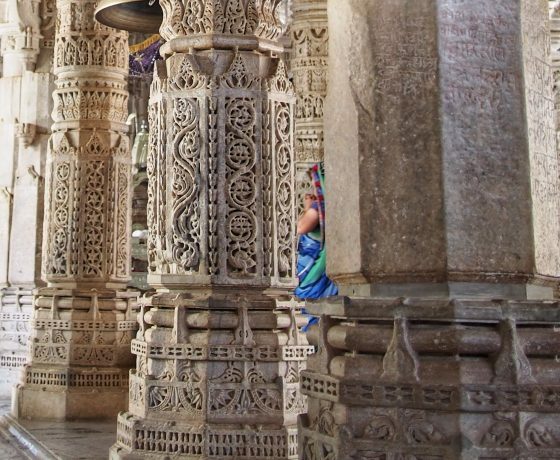 On the way, we’d recommend stopping in Ranakpur to visit the stunningly-carved Jain temple. 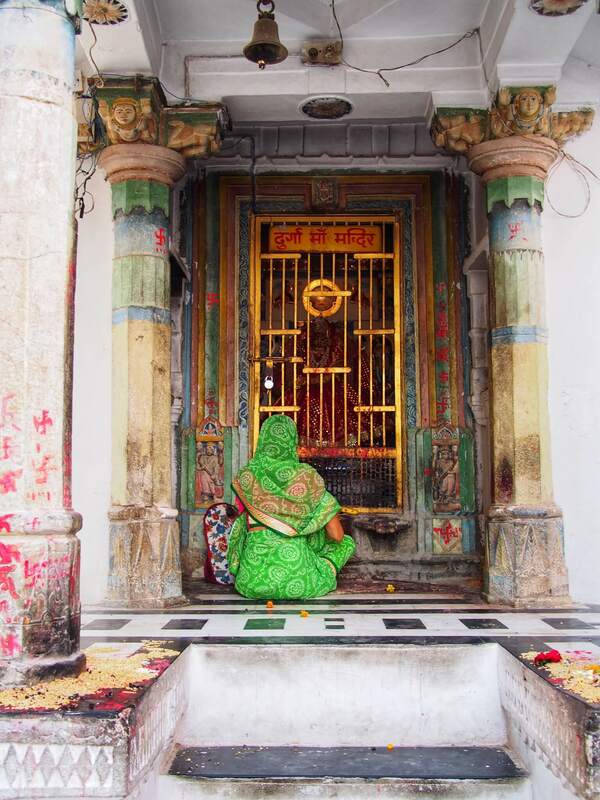 For many of our guests, the Jain temple in Ranakpur is one of the sights they were most struck by. The carvings – of which there are thousands – are all unique. 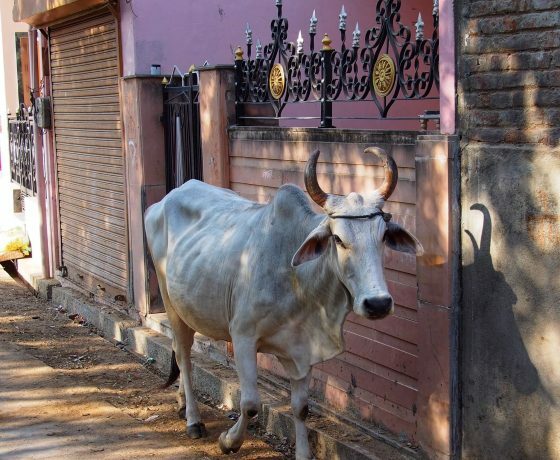 Alternately (or in addition to), you may prefer to stop at the 15th-century Kumbhalgarh Fort, which is affectionally known as the Great Wall of India as a whopping 36 km of wall snakes around the 365 temples, palaces, gardens and 700 cannon bunkers within. 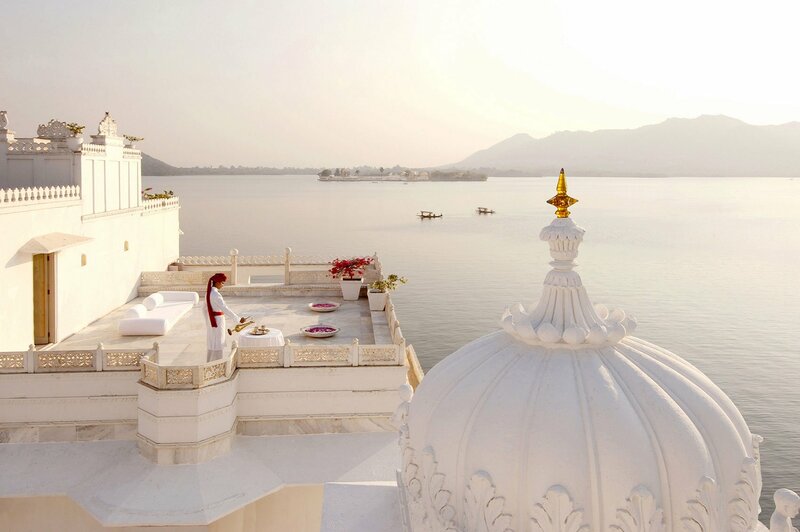 Upon arriving in Udaipur, you’ll take a short boat ride across Lake Pichola to the fabulous Taj Lake Palace. 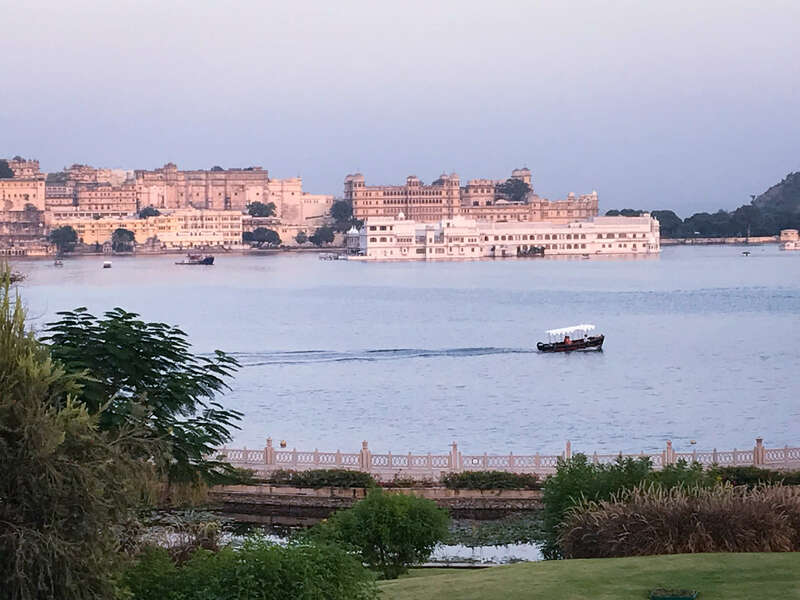 Dating back over 270 years and floating majestically in the middle of the water, this is the ultimate Indian palace hotel experience for many of our guests, and we’d have to agree! 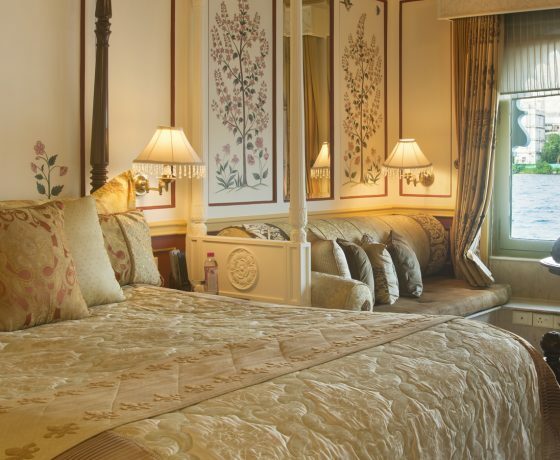 The palatial interiors have been carefully restored to their former glory, when the palace served as a summer retreat for Maharaja Jagjit Singh who ruled Jaipur in the 17th century. Other favourite hotels of ours in Udaipur you may wish to consider include the Oberoi Udaivilas, the Leela Palace, and Raas Devi Garh. 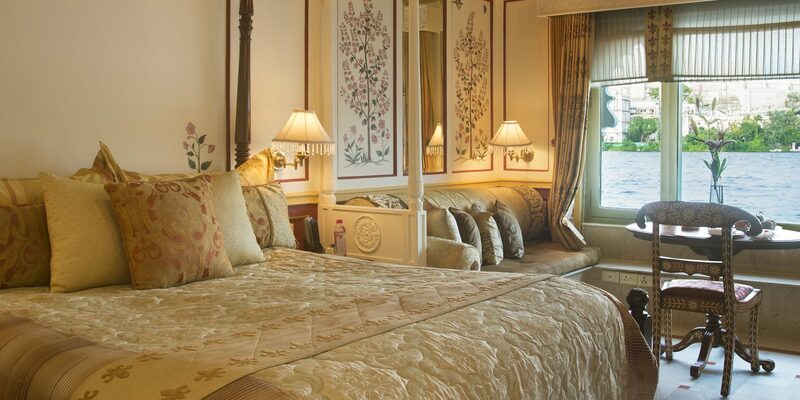 A guided tour of Udaipur today will begin at the vast City Palace. It’s the largest palace in Rajasthan and was built or added to by 22 different maharanas. With its stern, fortress-like façade, topped with a scattering of elegant balconies, cupolas and turrets, the City Palace in Udaipur was aptly described by one writer as a ‘massive plain cake topped with fabulous icing’. Continue with a walking tour through the old city, where you’ll navigate lots of crooked, narrow lanes selling a variety of interesting local handicrafts, as well as fresh vegetables and spices. 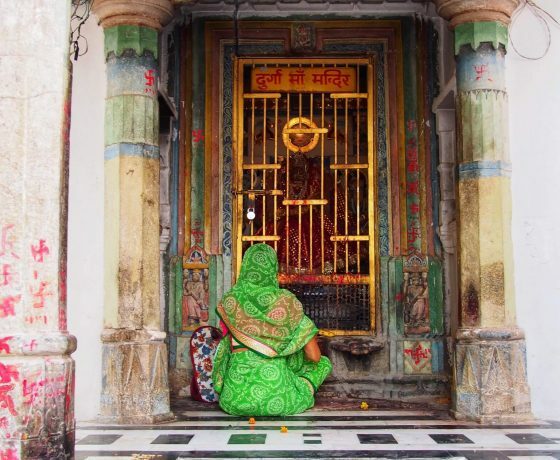 Nearby is the 17th century Jagdish Temple. 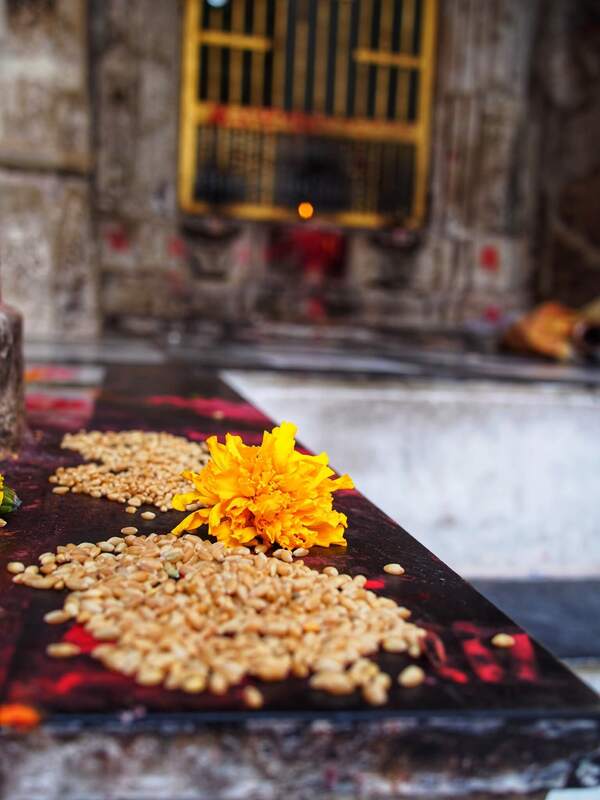 Other highlights to take in may include Saheliyon ki Bari (a delightful 18th-century garden) or Eklingji (a complex of 108 temples and shrines dedicated to Lord Shiva, dating back to the 16th century). Today you’ll be chauffeured to Udaipur airport in time for your onward flight. Our journeys are inclusive of accommodation with breakfast, a private car with driver throughout, experienced guides, entrance tickets and excursions. In other words, we offer a seamless and hassle-free experience where the only thing you need to worry about is soaking up the sights and enjoying your fabulous hotels! This indicative cost is based on a couple travelling between October 2018 and March 2019, sharing a double or twin room. The cost would reduce significantly during the low-season months of April to September, whilst it would be noticeably higher during the peak Christmas and New Year period. The tour of Jodhpur, Narlai and Udaipur we’ve described here is merely a starting point to share a flavour of the possibilities. Whilst this is a route much-loved by our guests, every detail is flexible and would be designed around you. For example, you may like to continue to the desert city of Jaisalmer, and/or the Pink City of Jaipur (in that case, do check out our Rajasthan with Boutique Hotels Tour). For first time visitors to the region, this itinerary also pairs well with our Luxury Golden Triangle Tour. All our tours are private and tailor-made to complement your tastes and interests – the itinerary described above is really just a starting point and together we can refine it into your ideal experience.